Welcome to A Sampling Bee! 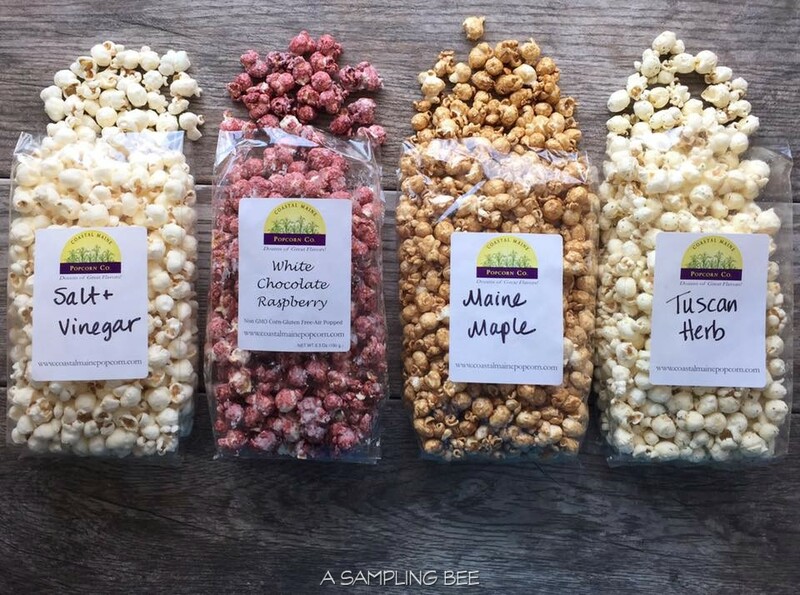 Today, I share 4 awesome popcorn flavors from Coastal Maine Popcorn. 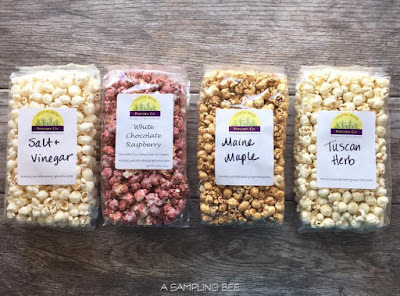 Coastal Maine Popcorn Co. started out in Maine in 2007. They decided to bring popcorn back to the "harbor". 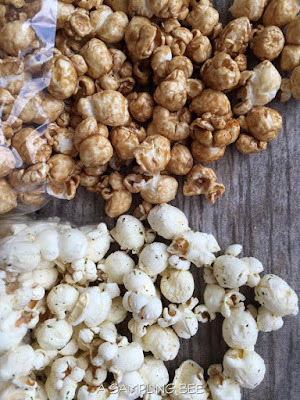 Today, Coastal Maine Popcorn has over 30 different flavors. Some of which are "crazy flavors". Products they offer are Individual Flavor Bags, Sampler Packs, Gallon Tins and 3.5 Gallon Tins. They also offer a monthly popcorn club! 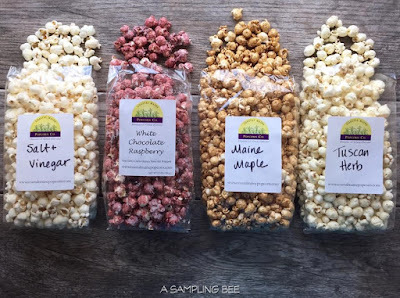 Coastal Maine Popcorn uses only non-GMO corn for their popcorn. Currently, all of their flavors are gluten-free except S'mores & Wasabi. Some of their "crazy flavors" include Buffalo Wing, Dill Pickle, Horseradish Dill and Pucker Patch. I got to sample the White Chocolate Raspberry, Maine Maple, Tuscan Herb and Salt & Vinegar flavors. All of which are very good! 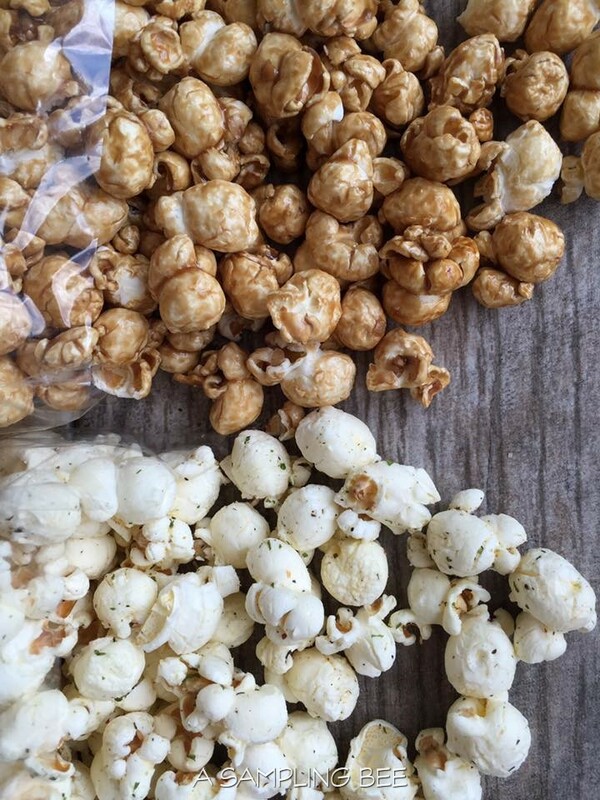 Coastal Maine Popcorn is unforgettable. I found myself going back to the bags of popcorn to get another handful. Each flavor is so flavorful. I really enjoyed the White Chocolate Raspberry flavor and the Maine Maple flavor. 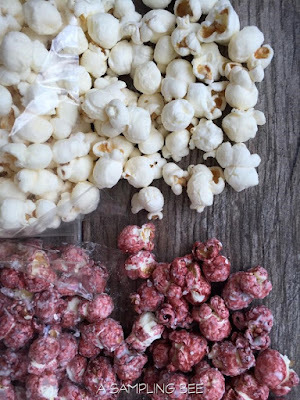 The White Chocolate Raspberry popcorn is sweet and tastes just like a raspberry that is covered in chocolate. The Maine Maple popcorn tastes similar to cracker jacks popcorn. But, 100 times better. I liked the Salt & Vinegar popcorn but it was really vinegary. A little bit too much for me. The Tuscan Herb is really well seasoned. This flavor was my 1 1/2 year old sons favorite. 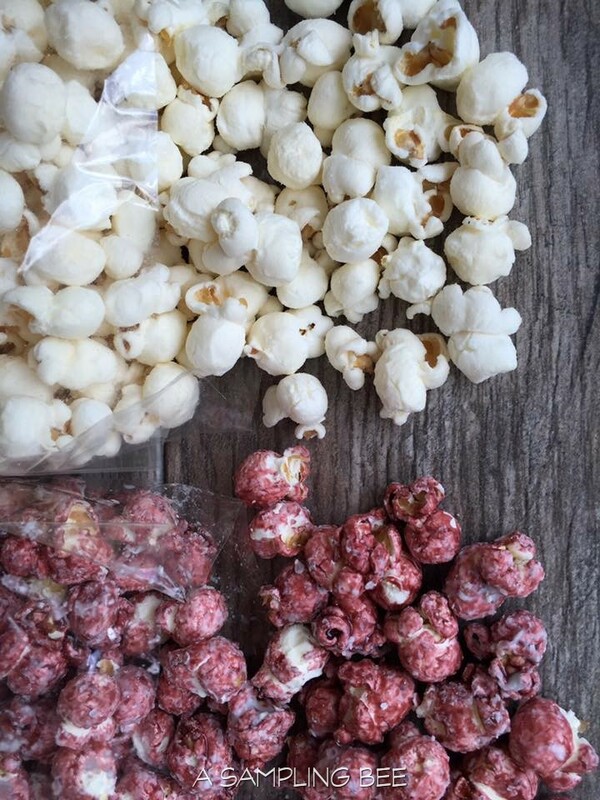 Popcorn is a good snack for any occasion. Grab a bag and head to the beach or grab a bag when you are watching your favorite movie. Popcorn also makes a great gift. 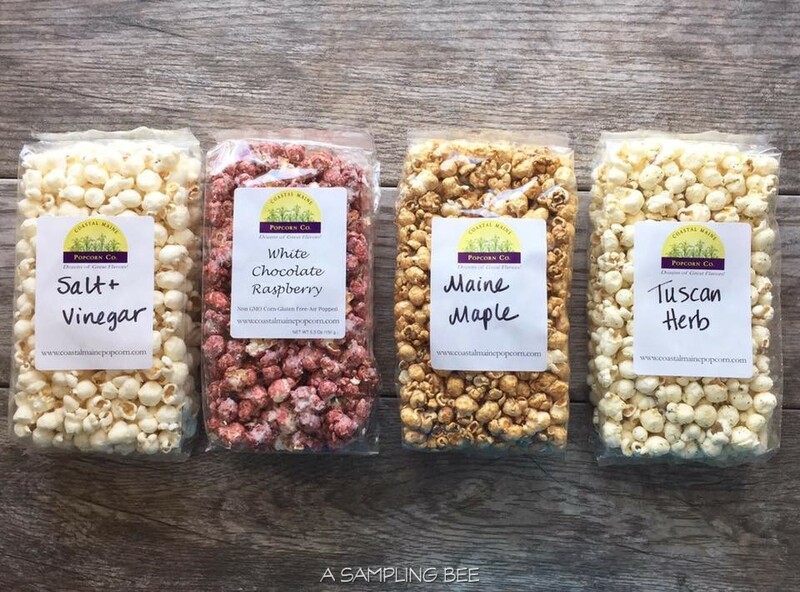 Coastal Maine Popcorn Co. has decorative tins that are perfect for gifting. The company also takes custom orders for weddings, birthday parties, etc. I received Coastal Maine Popcorn in exchange for my honest review. All opinions are my own. Always!